The patio came out beautiful as well as the landscaped bed. It was very well worth the wait to have you your crew of professionals do the work. They took excellent care in hauling all the material to the back and there was surprisingly minimal disruption/damage to the lawn. Chuck and the crew on Saturday were very accommodating allowing me to bring in a few shrubs they were finishing up the bed. Everything was left clean and neat. With the job complete, I have to say I am 100% satisfied. This was done so well and the finished product is beautiful. Great Job! If I can ever be a reference, I’d be happy to! The retaining wall you built is absolutely beautiful! It looks just the way I was hoping it would!! Many thanks! It was an amazing party thanks to your company. Defeo’s commitment was truly impressive. My son said it was the best birthday party ever. We have taken a lot of great pictures which we will soon post on your Facebook page with a bunch of "likes". Our friends were very impressed with the transformation and I have passed on your business cards to a few folks. My wife and I are thrilled with the job you did at our home. All the neighbors walk by and absolutely love it! Thank you for a beautiful job. Just a note to say thanks again for a really great job on our new patio. We couldn’t be more pleased. You helped us turn a drab, old concrete patio that we never used into a beautiful shady retreat. It iss so nice to have a contractor who delivers what they promise and then some. Thank you for the excellent design and implementation of the Landscaping, Lighting and hardscape for our front yard. We were very impressed with the professionalism, client responsiveness and customer care shown by your team. You exceeded our expectations and I will be happy to highly recommend DeFeo’s Landscaping of Central Jersey to your other clients. Very, very happy with the work. So pleased with the work its perfect, its beautiful. We are so happy! Thanks for an amazing job on our patio and plantings. The patio turned out exactly as we wanted. We're very happy. Thank you for all your help and I hope we can work together again. Thank you! DeFeo completely landscaped our property last fall and we couldn’t be happier! We spend a lot of time in the backyard from early spring until late fall. The back property line has been a mess for years. We now have the tree and shrub line that we always wanted. The sides of the property recently lost several large trees (thanks a lot Sandy!) and the ornamentals that replaced them make the view better that it was before. The complete redo of the front of the house draws complements whenever friend visit for the first time. In fact, during our annual Independence Day barbeque many of the guests took themselves on a tour of the property to make sure they saw everything. And DeFeo stands by their work! The plantings were all made in the late fall and, thanks to our very harsh winter and larger than normal snowfall, we lost a couple of the shrubs. No questions asked, DeFeo came right out and replaced them at no charge. 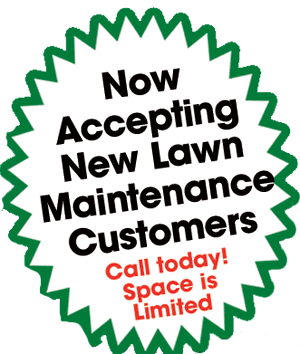 I am happy to recommend DeFeo’s Landscaping to all my friends and family. Thank you so much for everything. It looks absolutely smashing! These guys really did a beautiful job and you and your brother were just a delight to work with. I appreciated the ease at which everything was done. Thanks DeFeo brothers! We love your work!! My wife and I contracted DeFeo’s Landscaping to construct, for our backyard, a paved patio with a sitting wall and steps leading to our back door. In addition, there was to be landscaping around the patio. The patio and landscaping was completed in the timeframe promised and the crew did an excellent job; very professional, accurate and neat. The best thing about working with DeFeo’s Landscaping was the customer service provided by Mike, Dave and Linda. Questions were always answered, phone calls were always returned, site supervision was always there and more! We honestly believe that we received the most for our money. We highly recommend DeFeo’s Landscaping of Central Jersey to everyone interested in having a well built patio for their home. Thank you for a GREAT job on the pavers in front of our house. Our initial appointment with you made our choice easy that DeFeo's Landscaping was doing the job. You were on time and explained everything in detail with us. We only had a few vacation days left and you worked around our schedule to make sure the job was done on that day. The crew arrived on time and made sure everything was done accurate. The crew was professional and answered any questions we had. We would recommend DeFeo's to anyone. Thank you for a job well done and on time. The paver walkway looks spectacular and adds a great deal to the curb appeal of our home. We appreciate your thoughtfulness and time you took in discussing the landscaping with us. It looks beautiful! We also thank your employees. All of you worked very hard to please Frank and I. Thanks again. Thank you again. The yard looks beautiful. See you next year. Thanks for the beautiful landscaping you did for us. All the bushes, flowers, etc.. really framed our pool nicely. These special touches makes spending the time out back enjoyable and especially pleasant. We would highly recommend you to our friends and neighbors. Thanks Mike - great job! Thank you for a beautiful patio. We needed a small patio for our small backyard and Mike himself came to see the site. He helped us decide on materials & colors. He designed the patio, incorporating an existing plant bed & adding another one, and threw in some landscaping advice for free. The crew arrived on time and completed the work in less than two days. When they were done, they reseeded the soil around the patio, mulched the plant beds and cleaned up the yard and driveway. We were impressed with the professionalism of this team. We would recommend DeFeo's to anyone with a landscaping requirement. Thanks for another fine job! See you in the spring!